The city in which a great past and a great present are connected with economy and culture in a fascinating, unique way. 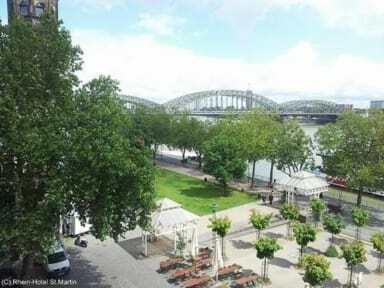 The Rhine garden, a perfect place for walking tours along the Rhine river and the old, listed buildings of the old town, is right in front of the door. 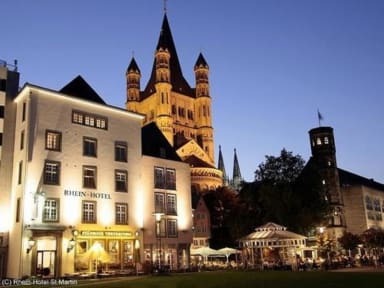 Our 44 attractively furnished and equipped rooms, the huge beer-garden in front of our hotel, the cosy environment and the magnificent location at the riverfront of the Rhine as well as the picturesque area of the old town of Cologne are just a few benefits our hotel offers its visitors. The rich intercontinental breakfast assures a good start into a new day. During summertime our beer garden in front of the hotel offers a big variety of food, snacks, beverages and alcoholic drinks as well as coffee and cakes. Enough parking spaces are available in the surrounding parking garages. Reception is open 24 hours: before your Check In and after your Check Out, you can leave your luggage at the reception! Breakfast Buffet is included daily from 7.00 – 10.00 am. Free Wi-Fi in the whole hotel!